Designing and decorating the kitchen is a tough task. The kitchen is the one room in the home where function must trump form otherwise you’re in for a pretty miserable cooking experience! Whether you’re a professional chef, occasional host, head of a large family, or just a solo diner, everybody needs a kitchen that serves their cuisine needs. While this guide won’t tell you how to design a kitchen from scratch (you should probably work with your contractor on that! ), it is my hope that you will find some valuable ideas to bring to your design team. The first step to designing your kitchen is to define its purpose and use. Do you have a large family with several cooks who share meal prepping duties? Do you just have one person who cooks for everyone? Would you like a breakfast nook inside the kitchen, or do you prefer people to eat outside the kitchen? How involved do you want your family and guests to be in the kitchen area? 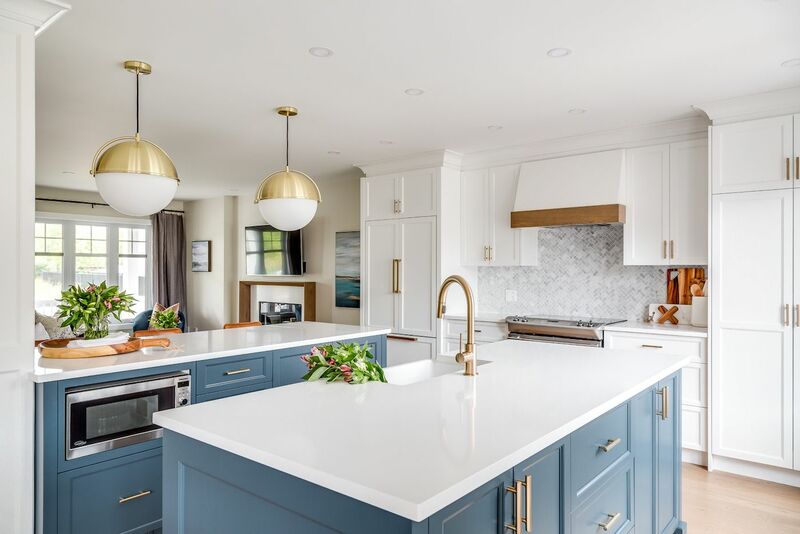 While open kitchens are very much in vogue these days, it’s important to consider the fact that if you have guests over often, it may be uncomfortable for them to see the entire kitchen while you cook and prepare meals. Knowing your kitchen usage will help immensely during the design process. While your contractor should do most of this work, it’s important to pay attention to the flow of the kitchen. Ensuring you have adequate space to walk around will be key to a functional and practical kitchen. Countertops: Determine the material and color you envision for your countertops. 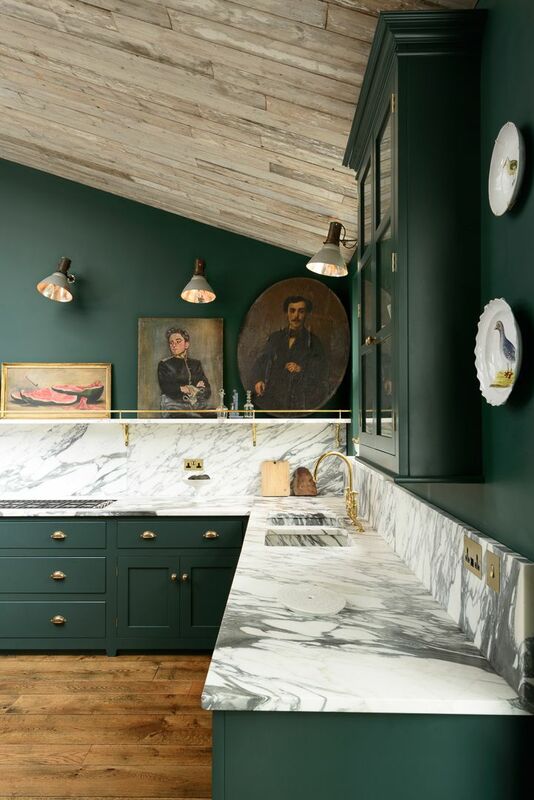 Marble kitchens are very popular, yet can be expensive to implement. Backsplash: What type of backsplash do you see in your kitchen? 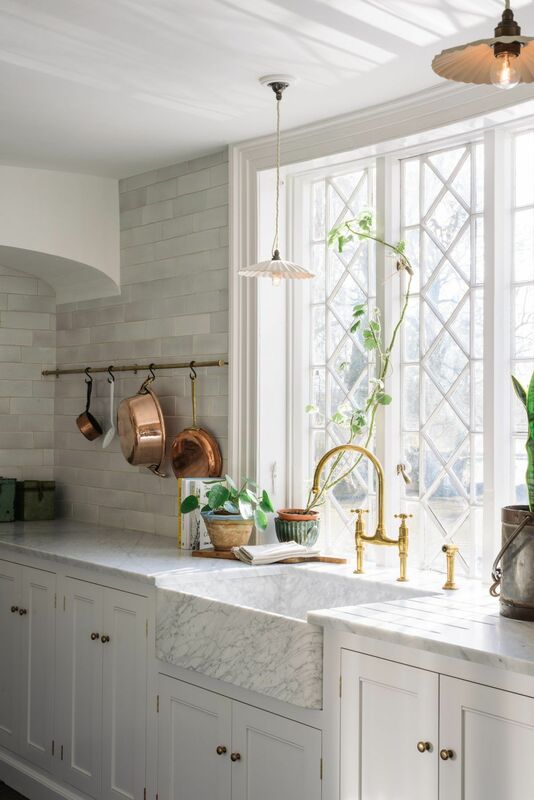 Subway tile is a popular choice. Flooring: Tile is most often laid on kitchen floors, but wood is also very common. Cabinets: Kitchens can have upper cabinets, lower cabinets, both or some of each! Kitchen Island: Kitchen islands are becoming more and more ubiquitous in modern kitchens. If you want a kitchen island in your home, do you see it as a place to meal prep or a place to sit and eat? Do you want a simple table as your kitchen island, or do you want one with storage? Sink: What size sink do you need? Wide, double, or single? The two most popular places for sinks in a kitchen are facing a window along the countertops or in the middle of one side of a kitchen island. Apron-front sinks are very popular. Range: How many burners and ovens do you need? Would you prefer a French range or a standard one? Range Hood: An exhaust hood contains a fan and rests above your range. It helps to reduce the grease, smoke, fumes and steam from the air. Refrigerator: Some people choose to hide their refrigerators behind large cabinets. Do you prefer yours out in the open or hidden? Dishwasher: In modern kitchens, dishwashers are considered essential. Pot Filler: While not essential, pot fillers are becoming more and more common in modern kitchens. They draw water from the tap to fill pots for cooking directly on the stovetop. What is your favorite style kitchen? It doesn’t hurt to create a Kitchen Pinterest board like mine to save some ideas that you can reference during your design process. Lighting: Kitchen lighting is an important consideration. Many people opt for recessed lighting to ensure that the kitchen is adequately lit without being distracting. Others opt for beautiful pendant lights hanging above their kitchen island. Cabinet Paint: What shade do you prefer your cabinets? Cabinet Hardware: Many people try to match the hardware of their cabinets to their kitchen sink hardware. Shelving: Do you want to use an empty wall in your kitchen for open wall shelves? Rugs: Do you prefer to leave your kitchen floor as is, or could you envision a decorative rug? That’s it for our kitchen design and decor guide! I hope you found this article useful in planning out the kitchen of your dreams. Be sure to share your progress and results with us by tagging us on Instagram!